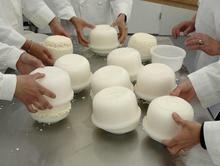 Hands-on classes teach the principles, art, and science of cheesemaking over three days. Class size limited to 10 students. Master the ancient art of cheesemaking with our hands-on, fun, informative, & inspirational courses held throughout the year! Take your cheesemaking to the next level! Explore the intricacies of aging, the importance of marketing, and mastering more complex cheese recipes. An excellent gift for someone you love and/or a wonderful introduction into the fascinating world of cheesemaking for yourself! Call us at 802-496-3998 for more information about hosting a one-day or three-day class (minimum of 4 students) in your own home! 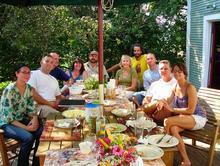 Interested in learning more about cheeses of Italy, France, Spain, or even Latin America? 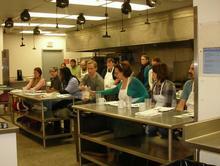 Check out our Specialty cheese classes! Looking to inspire your colleagues? Want to become a more informed cheese monger? Hoping to bond in the workplace? 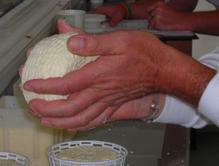 Consider one of our three hour or longer workshops and discover the magic of cheesemaking!